Hi, I’m Antimagictoxin from the United States and I was first introduced to 07th Expansion visual novels in 2012 when I first started community college and gained access to high-speed internet for the first time. I was going through a tough time with family trouble and no friends to talk to; then one day when searching online for new video game music to listen to, I came across a video on Youtube of a song called “dreamenddischarger” from Umineko no Naku Koro ni accompanied by only a static image of the portrait of Beatrice. There was something about the song and image that caught my interest and I immediately went and started reading the visual novels without ever reading online what the premise was or what type of game it was. I fell in love with the characters and a few parts of the story paralleled things that were going on in my life. It immediately became my favorite video game of all time (despite the lack of interactivity, although I consider the mystery and thought the reader has to put into it interactive enough). After reading all eight parts of Umineko, I learned of Higurashi and immediately started reading it and I loved it just as much. Both Higurashi and Umineko have become important to me and it came at just the right time in my life and my first time reading them are moments I will always cherish. I’ve yet to read all of Higanbana as I stopped partway through The First Night about four years ago for reasons I can’t recall but I still remember every moment from my last time reading. I hope to finally restart and finish it with the Higanbana Bookclub event coming up. I haven’t read Rose Guns Days nor do I know the premise as I want to go in as blind as possible. I also haven’t watched or read any of the anime or manga adaptations of Higurashi or Umineko. Aside from me talking about how great 07th Expansion novels are, I’m a 24 year old male and my interests include collecting video games both old and new, building Gundam model kits, movies, reading manga, and watching anime. I’m very much an introvert and I have really bad social anxiety so I’ll apologize in advance for awkward writing or misunderstandings that will occur or any lack of communication. Although I have really bad social anxiety, I work as a cashier at a grocery store so it isn’t that bad but it does cause me trouble in trying to find friends. I found Rokkenjima by pure chance when I made a Twitter account late last year and it just appeared out of nowhere. I made this account a while back but I’m very bad at communication like I said earlier but I hope to slowly improve that. It’s ok to take 3 hours to write your introduction, I love it when people have a lot to say! Welcome to Rokkenjima, @antimagictoxin! I’m glad to hear you found us through our Twitter! I’m sure the man behind the Twitter, @Aspirety, will love the fact that the Twitter is bringing in fresh faces! You sound like an awesome veteran for both Higurashi and Umineko! Since you know all the mysteries, I recommend checking out the spoiler threads! That way you can talk about all the fun stuff that happens without worrying about spoiling those who are new to the series. You can also check out our Higurashi 15th Anniversary thread, talk about your favorite characters, the characters you are most similar to, the moments that made you cry, and your favorite scenes for both Higurashi and Umineko. You can also check out the general spoiler topics for both Higurashi and Umineko, how you discovered 07th Expansion, or attempt to explain Umineko in 50 words or less. And if that’s not enough, you can check out other 07th Expansion stuff like Rose Guns Days, When the Game Ends, Iwaihime, TRianThology, and Hotarubi! You can also check out our tea parties, which it wounds like you already know a little bit about thanks to Twitter! Beginning very very soon is the Higanbana Bookclub! I’m glad you are waiting to read Higanbana with the rest of us! The experience truly is better when you have others to discuss and enjoy the VN along side you! You may win a prize if you contribute to the Higanbana threads, or by contributing fanart! You can also help out by cohosting the Higanbana podcasts! In the time between now and the Higanbana Bookclub officially stats, I recommend checking out our prior tea parties! So far, we’ve covered arcs 1-5 of Higurashi, episodes 1-4 of Umineko, and the newly translated Higurashi arc, Someutsushi! You can check out our crazy theories by reading the spoiler free topics for all that we’ve covered, or by checking out our lovely podcasts! And if all of that content still isn’t enough for you, you can check out some of our other stuff! You can show off that manga collection, talk about your favorite movies, talk about video games, talk about music, share your hobbies, share your pets, share your favorite kind of pizza, share your MBTI type, talk about cooking, even talk about your least favorite day of the week! You know @King_Titanite_XV, I’m sure @antimagictoxin would like it if you welcomed them to Rokkenjima too! I was actually originally going to write something about how long it took me to write my intro thing (I think it was half a week or something), but I couldn’t find my actual post to get a date so I gave up. It’s good we’ve got more people for the Higanbana bookclub - to be honest I was against even having one since I didn’t think there was enough hype for it. Seems I’m being proved wrong! So here’s a slightly smaller welcome than what u4ea gave you, @antimagictoxin! Thank you for the warm welcome! I’ll be sure to check everything out. Glad you could make it @antimagictoxin! I’ve seen you on Twitter and I’m really glad you decided to join us here. It’ll be great to have you for the Higanbana Bookclub! As a Magician of Language I welcome to you to our humble plane, I do hope you find everything to your liking. Tell me, which of Ryukishi’s texts have you consumed in whole? I am most curious. We have places for those who have and have not completed their ahem studies of such things. We also have a discord server which can be accessed after a short time of contribution from yourself, as well as approval from our soulbound furniture. I look forward to seeing you there should you partake. Is that a self-imposed title for reasons that have to do nothing with linguistics or are you a linguistics student, Magus? If so, that is very interesting, yes, it is. I have an interest in linguistics even though I know nothing about it but I will start getting into it more in the future. Anyhow, I would like to talk to you about them sometime, assumming my guess about you is correct and all. I’m going to be honest, I find language very interesting but I am not a linguistics student. The reasons for taking the title are unrelated to my studies however I consider the title personally significant for, uh, reasons. Hello, and welcome to Rokkenjima, @Arietta! As a lover of stories I also welcome you into our tiny little fragment. While I am not a magician, I am the self proclaimed local guide of this place, so if you wish, take my hand and I shall show you around. As you are a veteran, I think you would be most interested in the areas where you can talk about the things that happen later on in Umineko without worry of spoiling the new readers. I think you would be very interested in our thread about the witches of Umineko! Of course, you can also check out our various spoiler threads, such as the Umineko general spoilers threads or the individual episode per episode spoiler threads. Of course, you can also check out other Umineko centric threads such as the Umineko 10th anniversary, the best scenes in Umineko, your favorite adults in Umineko, what may happen if the servants and the masters switched, or explaining Umineko in 50 words or less! You can also check out some of our rather… crazy theories. Of course, you can also check out our Higurashi threads! Even if you haven’t read Higurashi in it’s entirety yet, you can still enjoy our spoiler free threads! And if you haven’t even begun Higurashi yet, please please read Higurashi. Although it does not contain the magic of Umineko, it also has a lovable cast that truly deserves more appreciation than it gets. if you do decide to read Higurashi, I recommend reading along with Rokkenjima as part of our tea parties! Speaking of these Rokkenjima wide readings, beginning very soon will be our Higanbana Bookclub! I sincerely hope you wait to read Higanbana along with everyone else, as these stories become even more enjoyable when you have someone to discuss your theories with! And if you have a lot to contribute in either theories or fanart, you may win a prize! In the few days before the Higanbana Bookclub officially begins, I recommend checking out our prior tea parties. We’ve covered arcs 1-5 of Higurashi, episodes 1-4 of Umineko, and the newly translated Higurashi arc, Someutsushi! You can read all our theories in the spoiler free topics or by listening to our lovely podcasts (which if you want to help host future podcasts, you can)! 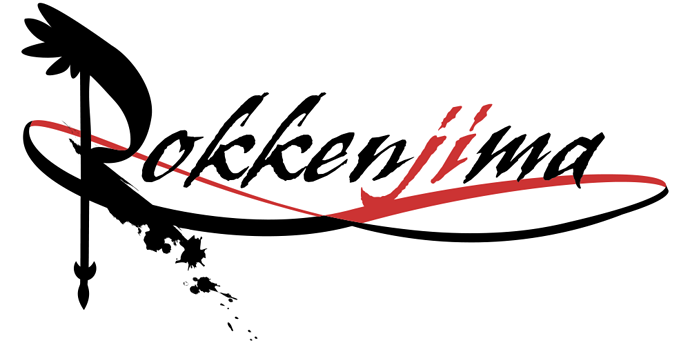 And if you still aren’t satisfied, there are other things to do on Rokkenjima too. You may be interested in our astrology thread, our book thread, the writing thread, our movie thread, share your MBTI type, talk about other VNs, share your VNDB list, talk about your favorite caffeinated beverage, even talk about pizza! I hope you enjoy your stay here, and more importantly, make some new friends!